A Brazilian pilgrim told me in O Cebreiro that if I could, I should stay in Samos next. 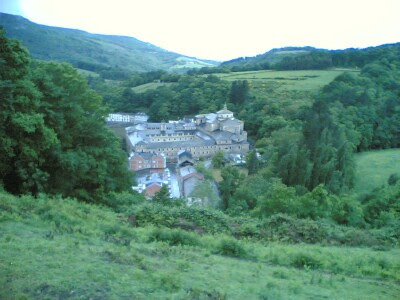 The albergue is on the monastery and it would be a good experience to stay there. When I found Triacastela to be too commercial with many private albergues, I decided to push another 6 km to Samos. 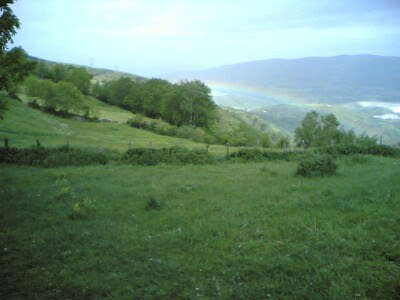 Beautiful rainbow on the way down O Cebreiro. Outside Samos. 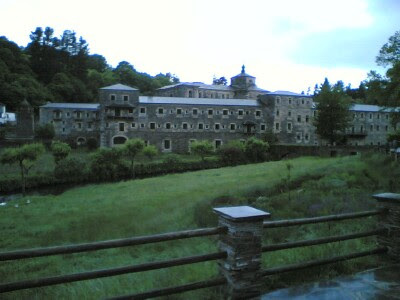 A nice view of the monastery. 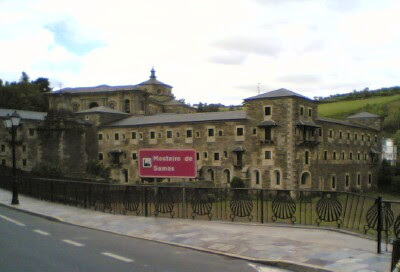 The oldest monastery in Spain. 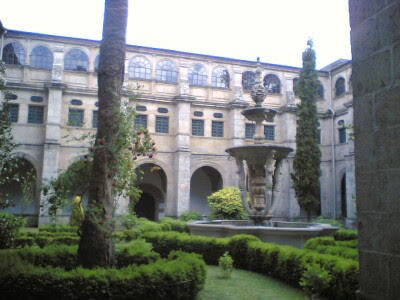 Founded in the 6th century by St Martin of Braga. 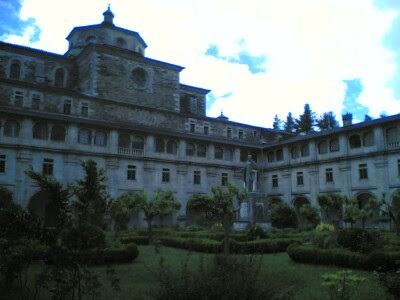 A tour inside the monastery. Unfortunately the tour did not include the library. During the medieval time, only the clergy had access to learning and books.